With its transition into the K-Pop music industry, hip-hop has made its way into people’s hearts. But for as much as the style is pursued by multiple artists, it’s pretty difficult to produce a track that brings out that incredible groovy vibe within us all. But Stray Kids? They’re different. 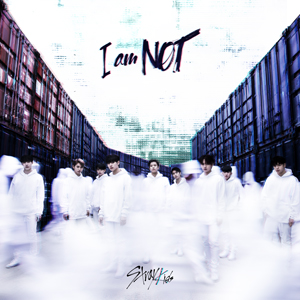 Once again, the nine boys shook up the entire K-Pop community, finding their voices through their debut album I Am NOT. JYP Entertainment, home of many influential artists, has finally revealed its not-so-hidden gems. Stray Kids, already acknowledged for their talents and skills highlighted on the survival program Stray Kids which aired last October, finally arrived to turn the tides of K-Pop. Considering the fact that Stray Kids is heavily hip-hop-based, every single track clearly emphasizes the voices of the rappers. The striking tones of each rapper creates a different charismatic aura, bringing the listener into the song. Plus, you can’t forget about the vocals. The soft but powerful vocal line generally takes charge of the higher pitch, and the contrasting charms of the voices attract the listener in a flash. “District 9” is the perfect title song to represent the group. Five seconds into the song will make you recognize the heavily hip-hop-based track with its tiny sprinkle of EDM. Not afraid of asserting their thoughts, the group promises to turn everything on its head. 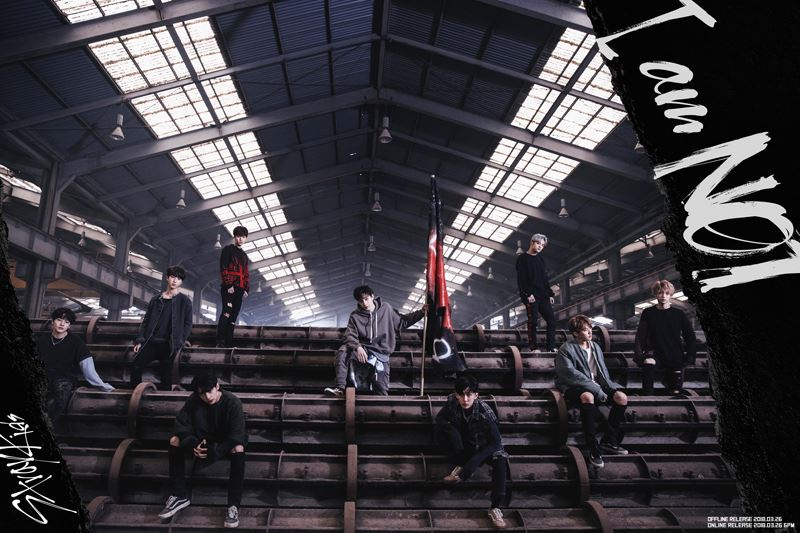 Giving a fair warning with their strong ambitions, Stray Kids illustrates a determination to break out of the ordinary and into the unconventional. With the formation of their own District 9, the nine boys wave off all misconceptions and begin their journey in creating the unique identity of Stray Kids. First impression of the music video? Though it starts off with scenes washed in a green glow, red and white lights are almost immediately seen glaring as alarms blare on. Intensifying the beat of the track, the orderly concept and special effects reminded me of a scene from the movie series The Maze Runner (or more like the organization WICKED) with Stray Kids as the opposing force. This mini-album was a refresher. In the midst of the dance and ballad wave, I Am NOT broke through, bringing back the hip-hop boom from previous years. The album contains six other songs, ranging from hip-hop to R&B. The participation of every member in the album evoked a large amount of interest. In addition to their unchanging style of music, Stray Kids communicated a deep message throughout their whole debut album (which I thought was pretty incredible). Although still a rookie, Stray Kids proved to be a group with distinct voices and skills. Despite only being a minute and twenty-two seconds long, “NOT!” serves as an intense intro to the group. Placed after the title “District 9,” “Mirror” talks about the confusion of finding one’s identity, a common worry for many people. Consequently, it is a song to which many can relate to. “Awaken” follows in sequence; in contrast to the previous song, this track incorporates a rock sound as base and calls for individualism in society. “Rock” also weaves into the concept of the identity crisis, with the members cleverly comparing their frustration to becoming a rock (this is a totally relatable content). The play on words definitely heightens the exciting atmosphere. A lyrical hip-hop track that warms fans’ hearts, “You’re Doing Well (잘 하고 있어)” provides words of comfort to everyone. And last but not least, “3rd Eye” immediately stole my heart, placing first on my list of personal favorite tracks. Literally mentioning the third eye, Stray Kids yearns to be seen objectively through the perspective of a different person. Once again utilizing the concept of finding one’s identity, the boys clearly conveyed their message across the six tracks, including the title. Only available as an exclusive benefit for fans who purchase the physical album, “Mixtape #1” is a special song revolving around the placebo effect (according to JYP), and its bright mood brings a sense of positivity to listeners. Clearly succeeding in establishing their identity in the world, the nine boys sent the name Stray Kids into people’s minds. The rookie group definitely left an impact with their irresistible charms. Alongside their evident development into artists from their pre-debut album Mixtape, their potential for endless growth is indisputable. Now with their official debut, Stray Kids is ready to spread their name, rising to possibly become one of the leading groups of the K-Pop wave.